***BACK ON MARKET*PRICED BELLOW MARKET*LOW HOA***BEAUTIFUL DETACHED HOME. You will not find another home of this caliber, in this price range, BRAND NEW REMODEL KITCHEN AND APPLIANCES W/ WINE COOLER. this close to the beach! 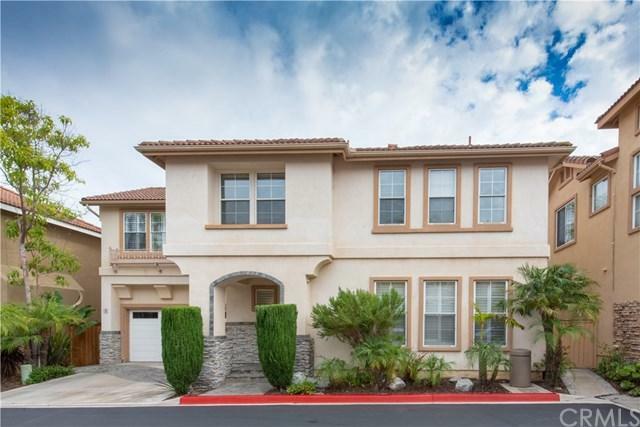 Great location, lovingly maintained home in Aliso Viejo. Located in the Tiburon community this detached home is complete with driveway and backyard. Awesome 9-10 foot celling great room with entertainment niche and fireplace, recessed lighting and large windows overlooking the back ya ***BACK ON MARKET*PRICED BELLOW MARKET*LOW HOA***BEAUTIFUL DETACHED HOME. You will not find another home of this caliber, in this price range, BRAND NEW REMODEL KITCHEN AND APPLIANCES W/ WINE COOLER. this close to the beach! Great location, lovingly maintained home in Aliso Viejo. Located in the Tiburon community this detached home is complete with driveway and backyard. Awesome 9-10 foot celling great room with entertainment niche and fireplace, recessed lighting and large windows overlooking the back yard and full of windows, natural light, fireplace, main level with crown molding and plantation Shutters. neutral paint colors. Very well maintained home inside and out. Oversized master suite with coffered ceiling, both closets w/ mirrored doors & closet with custom organizers and awesome master bathroom with large vanity featuring dual sink. Oval tub and separate shower, large inside laundry room conveniently located on bedroom level, Large second full bathroom with dual sink and upgrades powder room on main level with designer vanity. The extensive stone and paver work in the front and back yards and side yard Located near beautiful Orange County beaches, Aliso Woods Trails, Whole Foods, and Aliso Viejo Town Center. Take your pick of the best schools South OC has to offer. No Mello Roos and low HOA dues. Ready to sell! Listing provided courtesy of Century 21 Sunny Hills. Listing information © 2019 San Diego MLS, Inc.